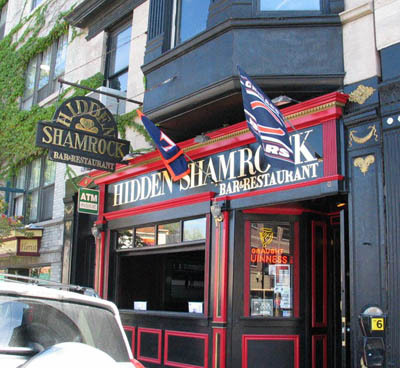 HIDDEN SHAMROCK is a great place for those late Saturday nights, since they stay open as late as 3:00 AM. You might think that one more Irish pub in the Chicago area just isn't necessary, but this one definitely is. The brunch menu is notable, including a delicious Irish breakfast and a traditional pot pie. They've got a great selection of beers on tap, and the waitstaff is always friendly and welcoming. Try the fish and chips! They're always a great choice, always cooked hot fresh and delicious! Lots of wonderful Irish decor lines the walls, making it an even more authentic experience. Definitely worth checking out if you haven't already.